With the departure of Dean of Humanities Tom DiPiero, the DMS program has a new director: Michael Jarvis. 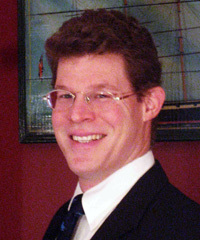 A historian and historical archaeologist by training, Jarvis’ digital research included 3D capture and analysis of the archaeology sites he digs each summer in Bermuda and the Virtual St. George’s project, which aims to digitally reconstruct Bermuda’s first capital at various years in the 17th through 19th centuries. Jarvis is also working with UAVs (Unmanned Aerial Vehicles, or drones) to photograph and digitally reconstruct buildings and landscapes and laser scanners for 3D object, room, and building capture. For more information, see his department web page and his Bermuda archaeology website. You can also reach him at Michael.jarvis@rochester.edu.